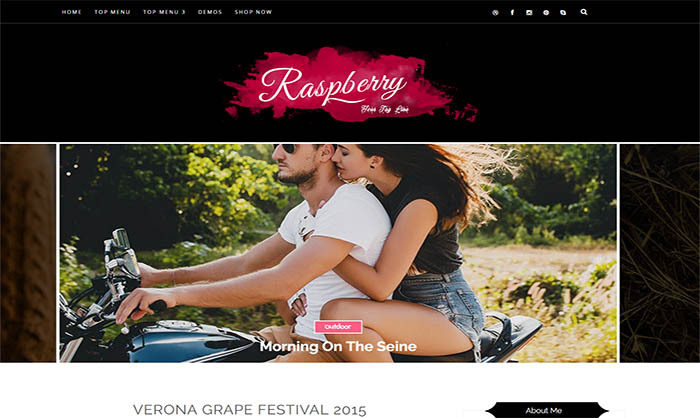 Raspberry Blogger Template is a Free Responsive Blogger Theme with a Clean and Minimalist Look , Simple yet elegant blogger template that will keep your visitors intrigued the minute they land up on your blog, This Pre-made Responsive Blogger Template is great for Fashion, Decor, Lifestyle, OOTD, Beauty and lot more. Moreover, gallery Carousel in dark version allows you to feature your best work and social media set-up keeps your followers up to date. Download it instantly and turn your blog appearance into awesome design.